The Tyndale community challenges one another to live authentically, to make a difference, to follow Christ and actively engage culture. Impact extends beyond any one individual. At Tyndale, this happens though community. With over 40 denominations and 60 ethnic groups, you will be inspired and challenged to think differently, see in new ways and generate change in the world. You will be transformed intellectually, emotionally, spiritually, and even physically. 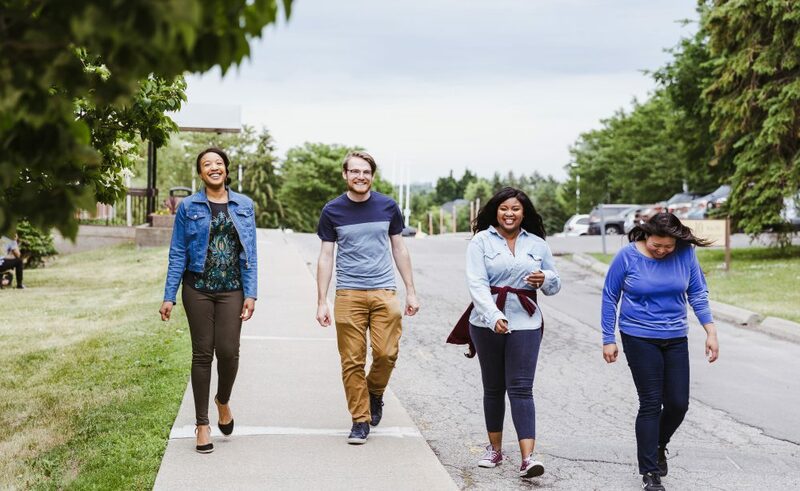 Centrally located in one of Toronto’s safest neighbourhoods, Tyndale is situated on a beautiful, modern, yet pristine 56-acre campus that is easily accessible to the downtown core. Public transit is available to take you to the abundant work and service opportunities, professional sports games and countless cultural experiences Toronto offers. Faculty are leading academics in their respective fields and will help guide you into a successful career. Because of our size, professors get to know you and can provide references for graduate schools and other opportunities. Join the global community of alumni living out their faith in their chosen careers. See Tyndale for yourself! Visit www.tyndaleu.ca to schedule a campus visit or take a virtual tour and begin your application.